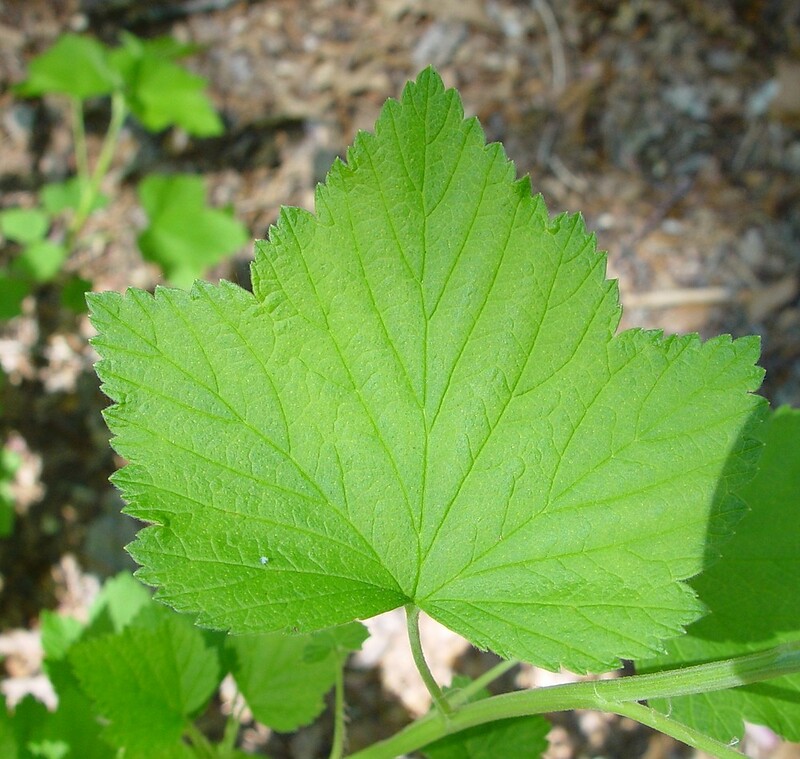 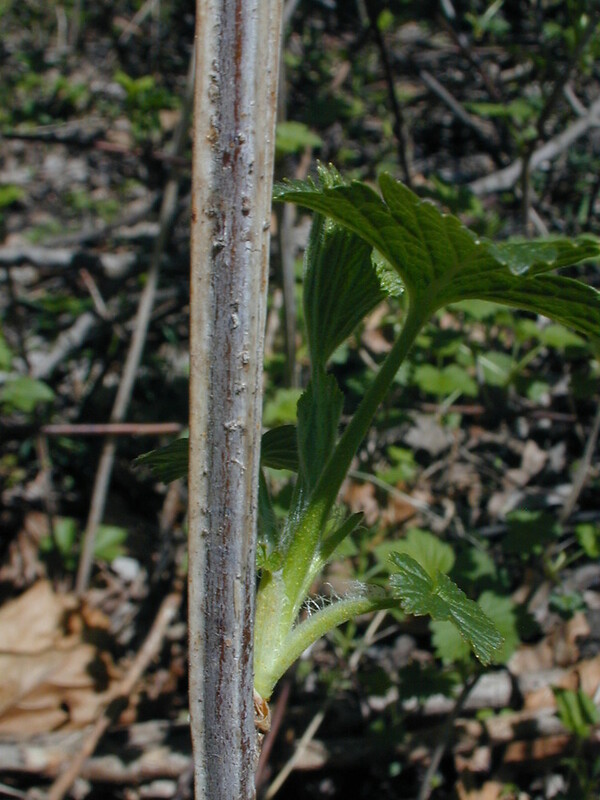 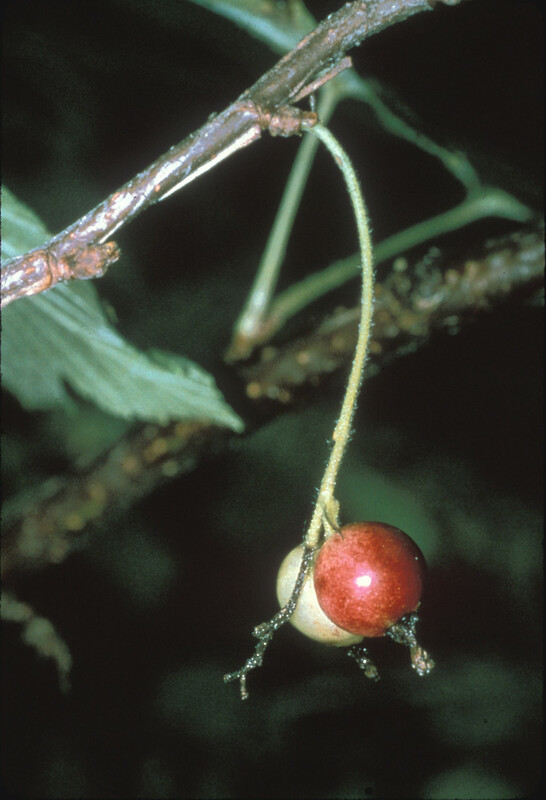 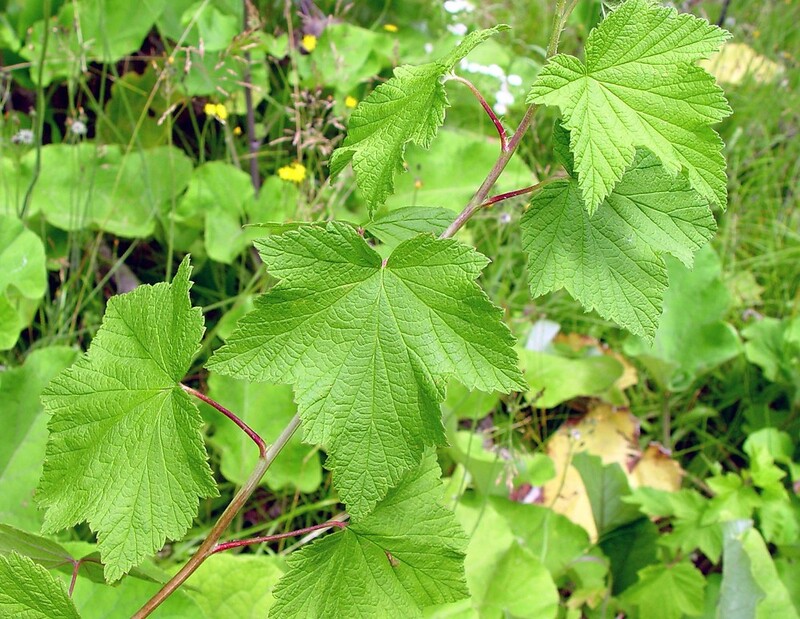 Eastern black currant is an alternative host for white pine blister rust, a serious disease of five-needled pine trees, and because of this, it has been the focus of eradication efforts. 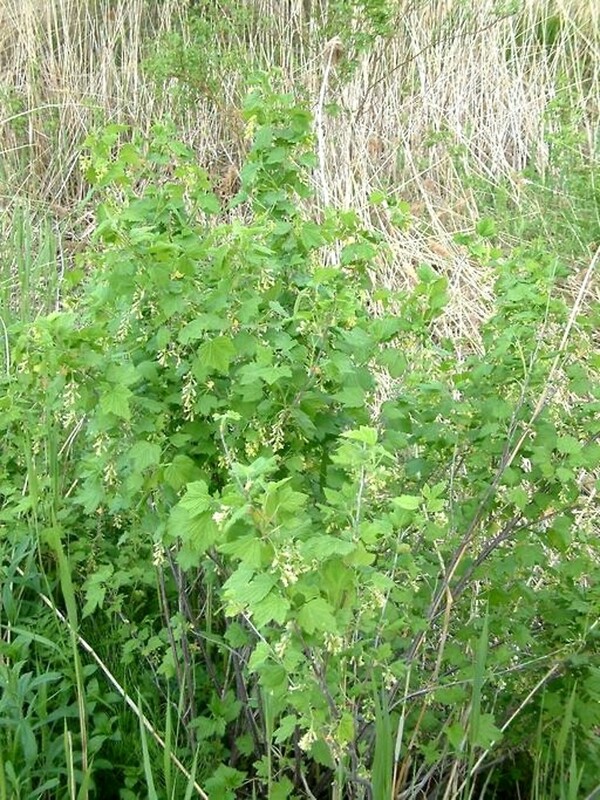 Consequently, this lovely shrub with edible berries is less common than it once was. 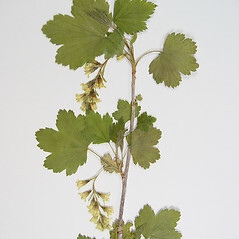 However, it can still be found in a wide variety of habitats from the Rocky Mountains east. 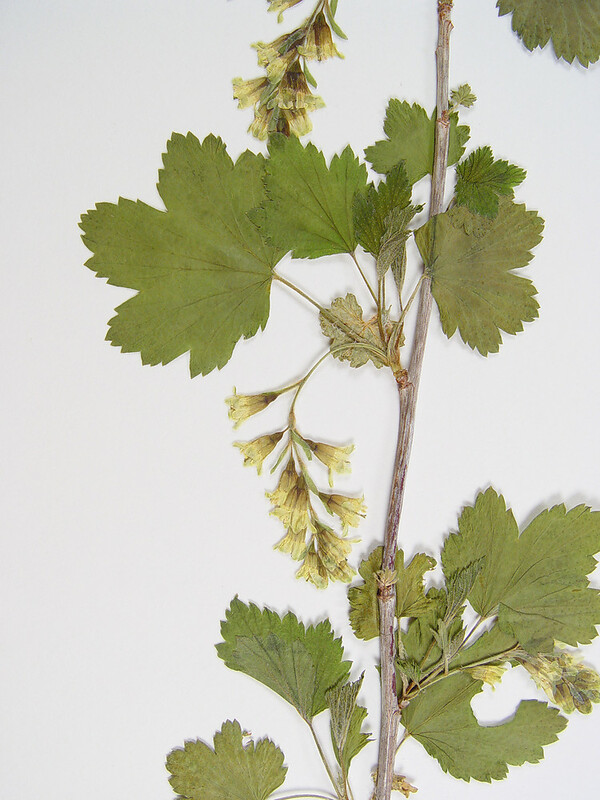 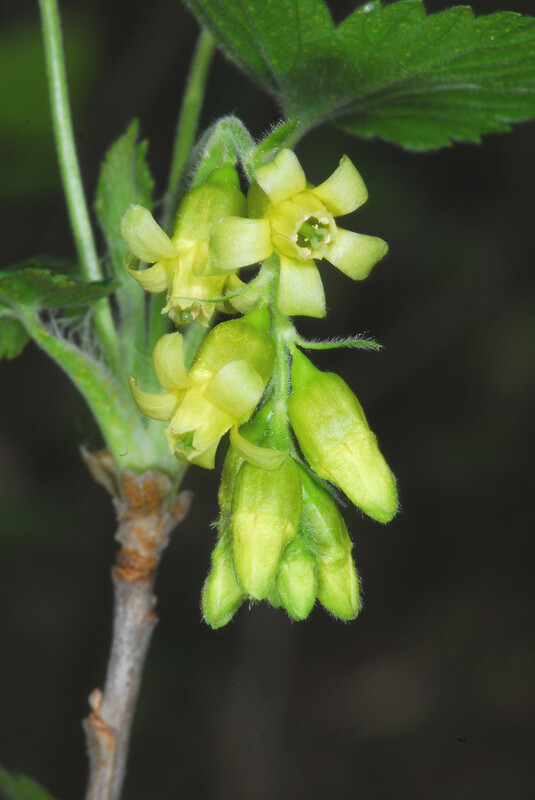 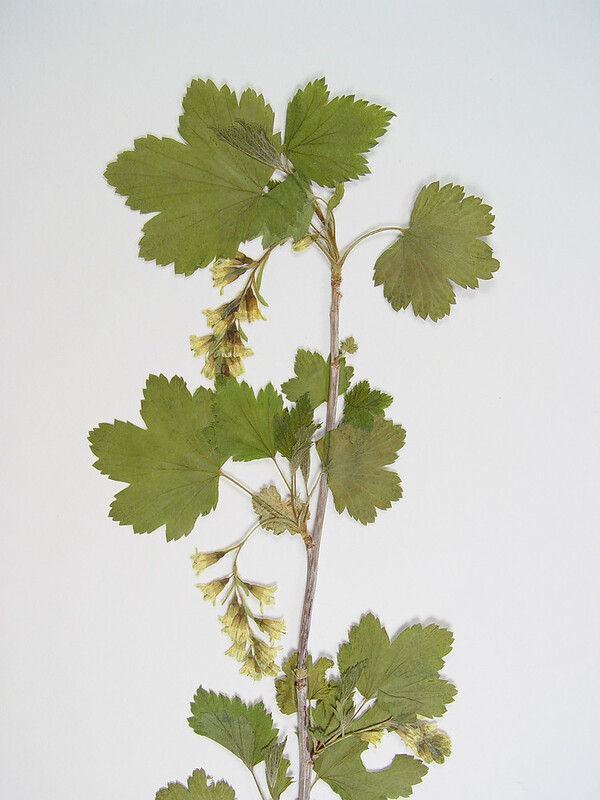 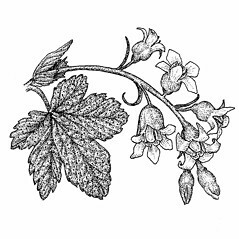 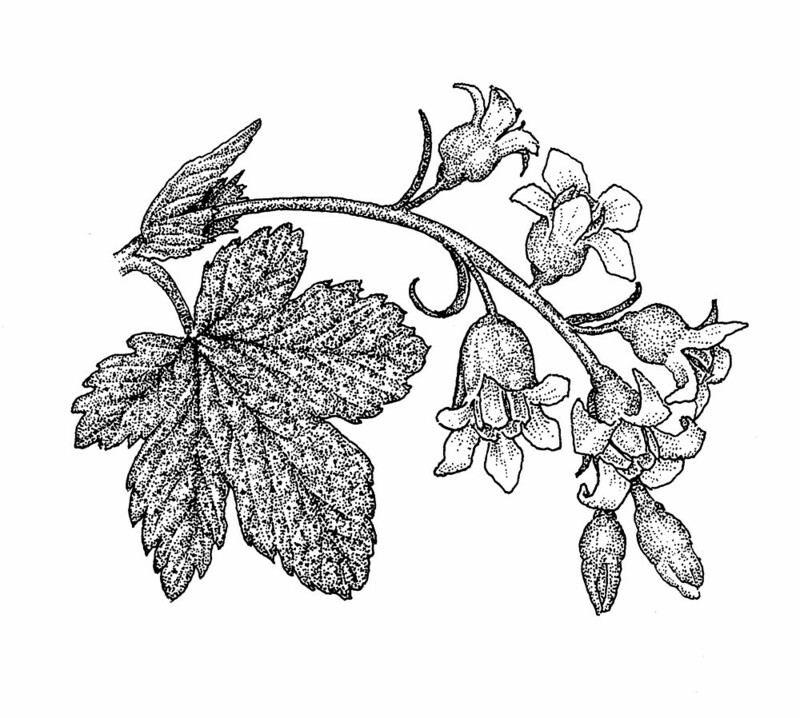 The genus name (Ribes) is adapted from the Persian word for bitter, referring to the acrid fruit. 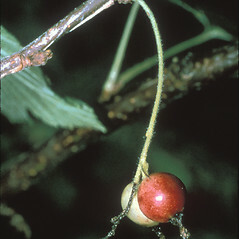 However, the fruit is actually high in sugars and low in fats and can be used in jams and jellies. 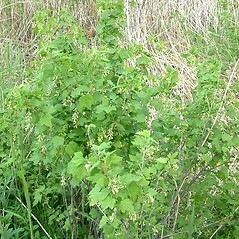 It is also eaten by chipmunks and other ground-dwelling animals. 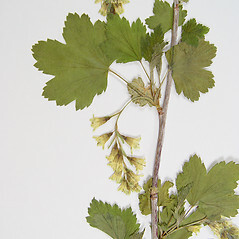 leaf blades with resin dots and berries red (vs. R. americanum, with leaf blades with abundant, tiny resin dots and berries black). 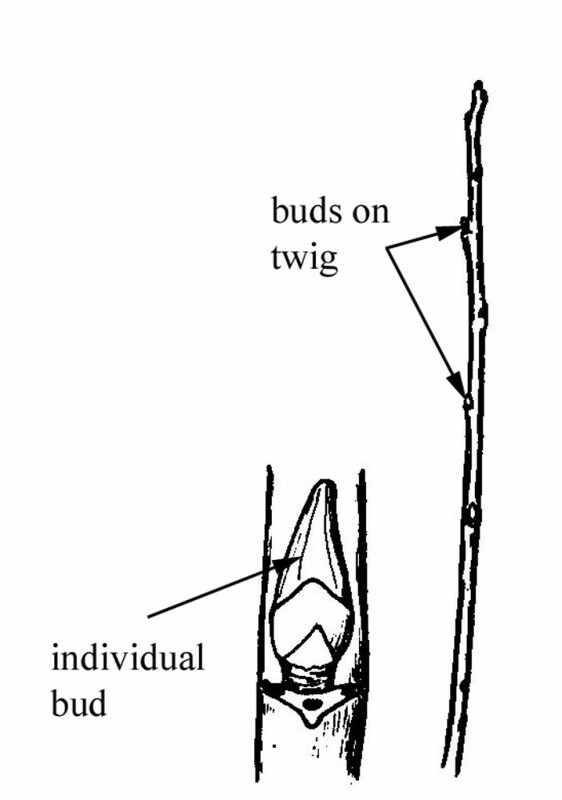 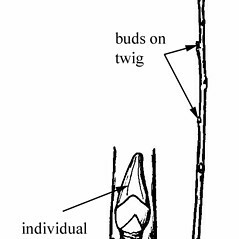 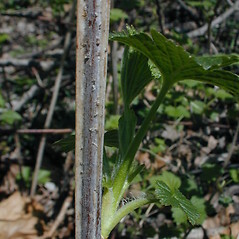 pedicels 2–8 mm long, much longer than the minute, ovate bracts, racemes with 4–10 flowers, and branchles with obscure decurrent ridges that are barely raised above the branch surface (vs. R. americanum, with pedicels 0.1–2 mm long, much exceeded by the conspicuous, lanceolate bracts, racemes with 6–15 flowers, and branchles with prominent decurrent ridges extending from the nodes that are noticeably raised above the branch surface). 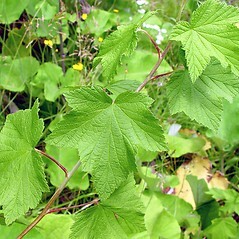 eastern black currant. 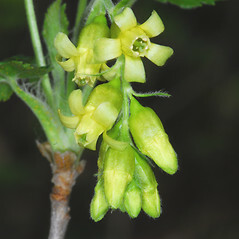 Ribes floridum L’Hér. 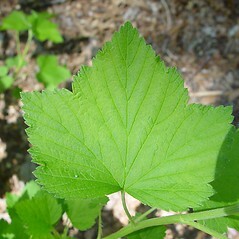 • CT, MA, ME, NH, RI, VT. Forests and forest fragments, swamps, rocky slopes, riparian forests, stream banks.